Home » Blog » Accountancy and Tax » Great Britain’s HMRC Making Tax Digital: What Will It Mean for Businesses? The UK online tax return filing system was used by 9.9 million individual UK taxpayers in 2017/18, with 92.5% of returns being submitted electronically. Despite this, the UK government intends to go further with its digitalisation of the UK tax system. “Making Tax Digital” (“MTD”) is a key part of the UK government’s plans to make it easier for individuals and businesses to get their tax right and keep on top of their affairs – meaning the end, over time, of the annual UK tax return for millions. MTD will mean that taxpayers will not have to give HMRC information that it already has, or that it is able to get from elsewhere – for instance from employers, banks, building societies and other government departments. HMRC is joining up its internal systems to allow this to happen. Digital tax accounts for all will mean that customers can see the information that HMRC holds and be able to check at any time that their details are complete and correct. Individuals and businesses should not have to wait until the end of the year or longer to know how much tax they should pay. HMRC will collect and process information affecting tax as close to real time as possible, to help prevent errors and stop tax due or repayments owed building up. MTD will require the UK taxpayer to provide more information to HMRC than previously, both in a digital format and more regularly. There are many taxes which UK taxpayers might have to pay, and presently most taxpayers cannot see a single picture of their liabilities and entitlements in one place. However, by 2020 they will be able to see a comprehensive financial picture in their digital account, just like they can with online banking. Taxpayers will be able to interact with HMRC digitally and at a time to suit them. They already have access to a digital account which will present them with an increasingly personalised picture of their tax affairs, along with prompts, advice and support through webchat and secure messaging. Although not stated publicly, a driver of this digitalisation drive is a desire to reduce the cost of collecting tax. Publicly, HMRC says it wants to ensure taxpayers file correct returns. HMRC believe that too many taxpayers make avoidable mistakes, with a cost to the UK government of over £8 billion a year, and that MTD will reduce these mistakes. Again, not stated, but I suspect they also believe MTD will reduce tax evasion. MTD was scheduled to commence in April 2018. However, after a number of concerns about the pace and scale of change were raised, the UK government announced in July 2017 that they would slow down the rollout for MTD for businesses. Accordingly, businesses will not now be mandated to use the MTD for Business system until April 2019 and then only to meet their VAT obligations. This will apply to businesses who have a turnover above the VAT threshold of currently £85,000. The government has committed that it will not widen the scope of MTD for Business beyond VAT before the system has been shown to work well, and not before April 2020 at the earliest. This will ensure that there is time to test the system fully and for digital record keeping to become more widespread. With regard to MTD for Individuals, HMRC announced that they “have made the decision to delay plans to introduce further digital services for individuals, to release project capability to EU Exit work.” HMRC “will continue to encourage more customers to use their Personal Tax Accounts and will focus on improving the existing service” but “additional services will be added only where they reduce phone and post contact or deliver significant savings.” There is no indication of when it will be resumed but clearly Brexit has delayed the timetable. DSG is a client focused firm of Chartered Accountants and Business Advisors. To contact their Liverpool office, tel: 0151 243 1200 or by email: dsg@liverpool.uk.com. 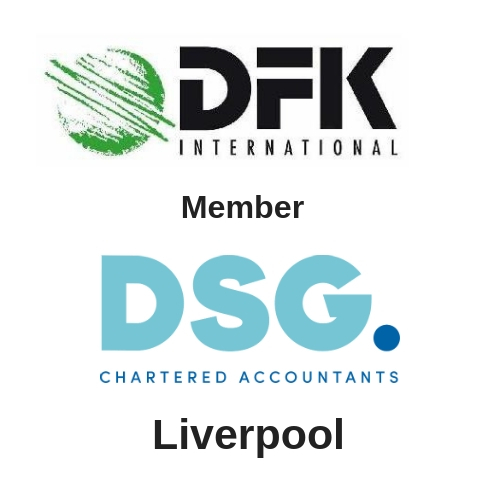 As an association that has been exceeding the needs and expectations of clients for more than 50 years, DSG Chartered Accountants are proud to be DFK members.